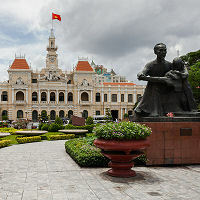 Welcome to Ho Chi Minh, Vietnam! 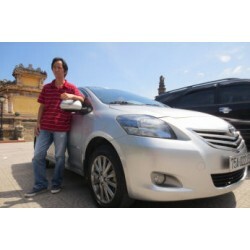 We offer Ho Chi Minh Airport transfer services to Ho Chi Minh and nearby cities of interest. Customized transfers are also available from both Ho Chi Minh airport and Ho Chi Minh city, please contact us for additional details. Your journey includes a bottle of water for each passenger and free WiFi in the vehicle. Vehicles used for this transfer:4 passenger vehicle: 2016 or..
Have a tour of Cu Chi from Ho Chi Minh city and return. Price includes car and driver for up to 8 hours. Pick your own locations or leave ..
Vehicles used for this transfer:4 passenger vehicle: 2016 or newer Mazda, Toyota, Vios, or Chevrolet Cruse5 passenger SUV: 2017 or newer Innova, Isuzu..